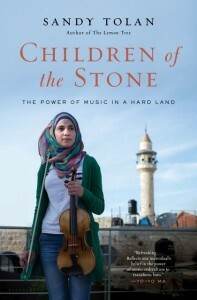 Sandy Tolan’s new book, Children of the Stone: The Power of Music in a Hard Land will be published in April by Bloomsbury USA. Sandy will launch the book on April 21 at the Los Angeles Public Library, then head out on a nationwide book tour. You can check out his schedule on his Facebook page.